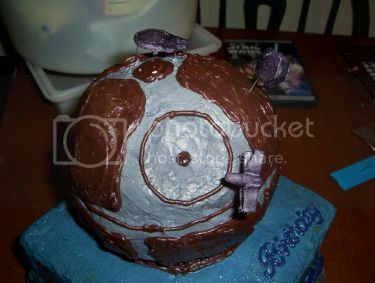 The Top Five Awful Death Star Cakes - PART DEUX! 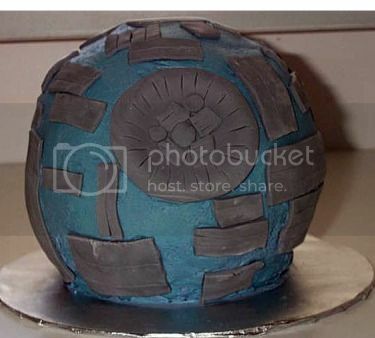 It’s been so long since I identified the original Top Five Awful Death Star Cakes, amateur cake-makers have had ample time to produce a new crop of horrible confectionery likenesses of the Imperial battle station from Star Wars. So, time to refresh the list and insult the well-intentioned work of some lovely people. Because pettiness is a language we can all agree on. 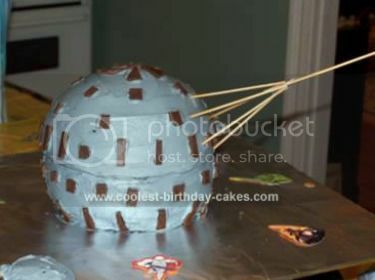 That’s not a Death Star cake. That’s a wicker-person’s hand picking up a Fabergé egg knockoff from a shelf the Dollar Store. 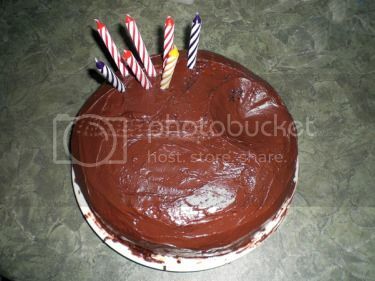 Bonus hilarity: “coolest-birthday-cakes.com” has unironically laid claim to the photo. Way to set the “cool” bar low enough for someone to trip over, coolest-birthday-cakes.com. This is how I imagine Earth looked after massive tectonic shifts broke Pangea apart. That’s no moon. That’s a space station. That’s been attacked by a Bedazzler. Proof that if you slather your cake with poo-like features, it will attract flies. Shaped like space ships. No, dear. 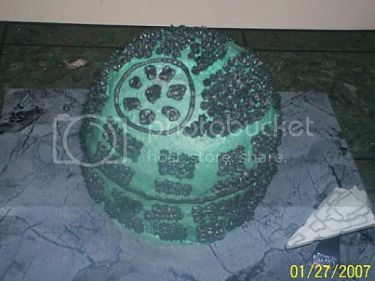 A simple two-layer cake with a sinkhole does not a “Death Star cake” make. Find Star Wars desserts and other recipes in Wookiee Cookies: A Star Wars Cookbook. Oh…my. Those are unbelievably horrible. I don’t think I would have guessed what any of them are supposed to be. Uh…really? Awwww, bless ’em, poor things. I would pay real money to see Darth Vader wielding a Bedazzler…that image just made my whole day.